Your roof and siding protect one of life’s biggest investments: Your home! It also enhances the beauty and appeal of your home’s exterior. Protect your asset by choosing the most experienced, professional and reliable contractor possible – MCM Services. 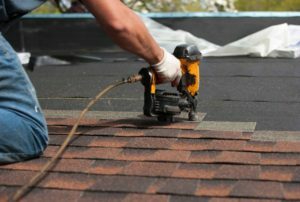 Our roofers start with a thorough inspection of your current roof and concerns, including ventilation, flashing, drainage, insulation, deck and roof material. After careful evaluation of your roof, our inspector determines the exact specifications for your building’s new roof. Installation starts with correcting any problem areas found prior to fastening new substrates. Proper drainage and flashing components are installed as specified for your roof. Whether you need a small roof repair, a total roof replacement or a total renovation, rest assured that our team will handle your project with a total guarantee behind it.